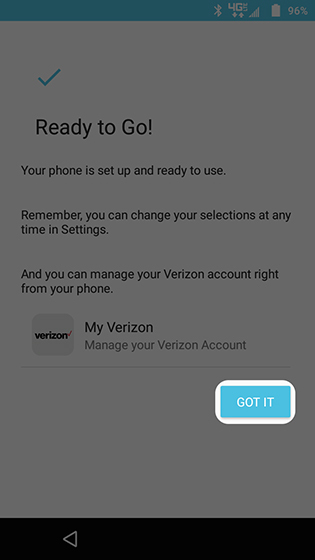 If powered off, press and hold the Power button (located on the right-edge of the device) until the Motorola logo appears then release. 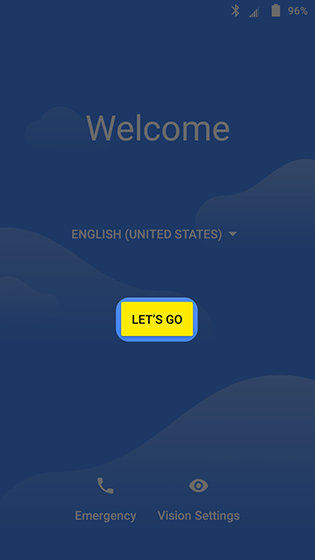 Select the appropriate language then tap LET'S GO. 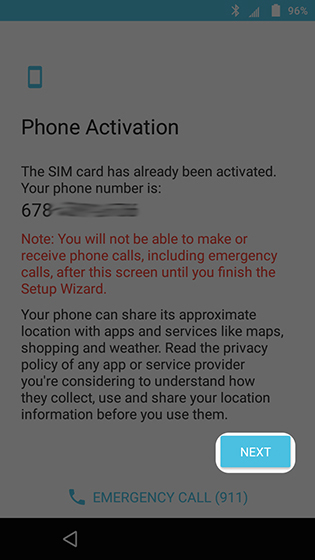 From the 'Phone Activation' screen, tap NEXT or tap ACTIVATE (if available). 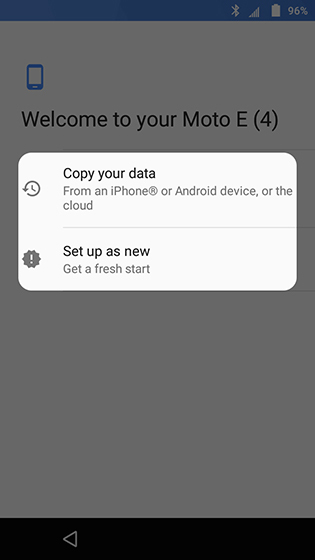 From the 'Welcome' screen tap 'Copy your data' or 'Set up as new'. From the 'Connect to Wi-Fi' screen, connect to a network or tap Connect to Wi-Fi later then tap Continue. 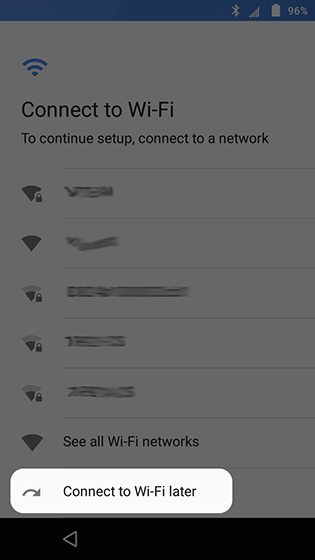 If you choose ''Connect to Wi-Fi later', you can add a Wi-Fi network after setup is complete. 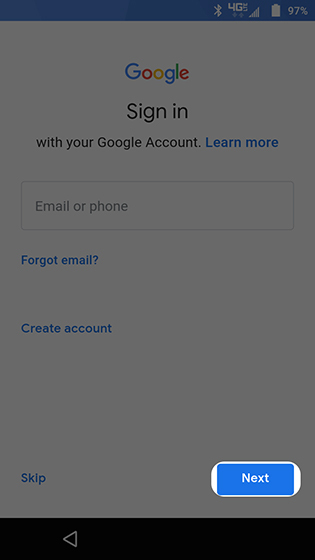 From the 'Sign in' screen, enter a Google email address then tap Next. 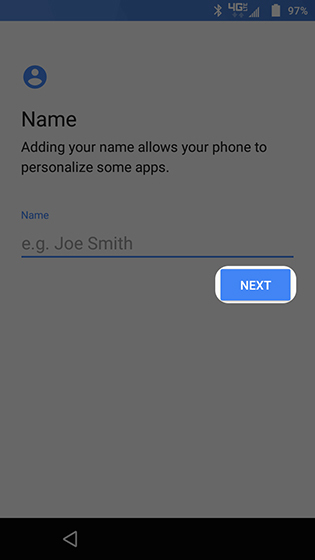 Enter your name then tap NEXT. 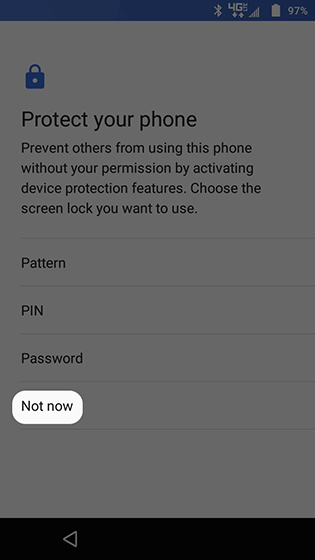 From the 'Protect your phone' screen, choose an option or tap Not now. 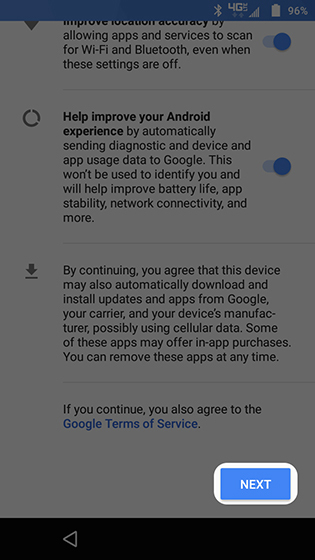 From the 'Google services' screen, tap any of the following services to enable or disable, then tap NEXT. 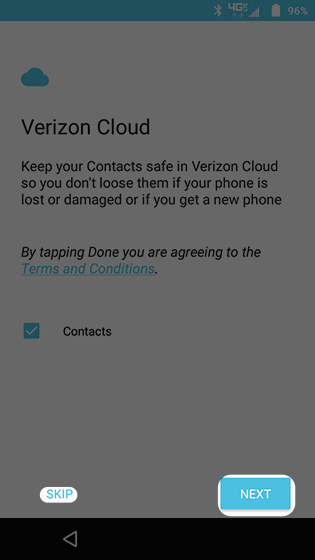 By tapping NEXT you are also agreeing to the Google Terms of Service. 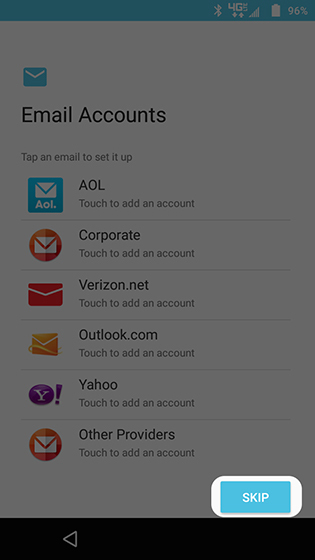 If you choose 'SKIP', you can set up a email account after setup is complete. 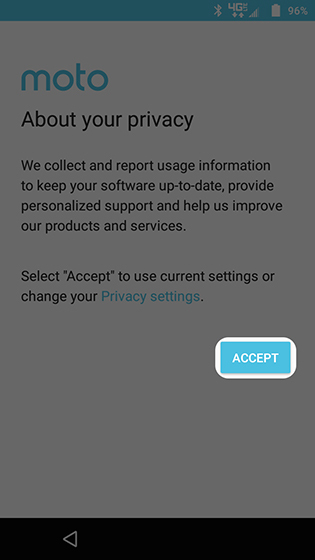 From the 'About your privacy' screen tap ACCEPT to use current settings or tap Privacy settings to make changes. Tap GOT IT to exit the device set up.